Bonorong makes the Ultimate Tasmania Bucket List! 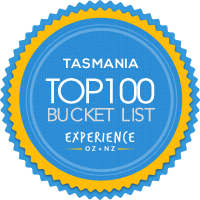 Titled "100 things to do in Tasmania before you die", Experience Oz have compiled a list of experiences not to miss while in our beautiful island state. We're pleased to be featured at #17 - snugly between Salamanca Markets and The Wall - and we're pretty excited. Be sure to check out the full list and get around to all the experiences while you can!